This guest room can accommodate up to 3 persons and 1 child. 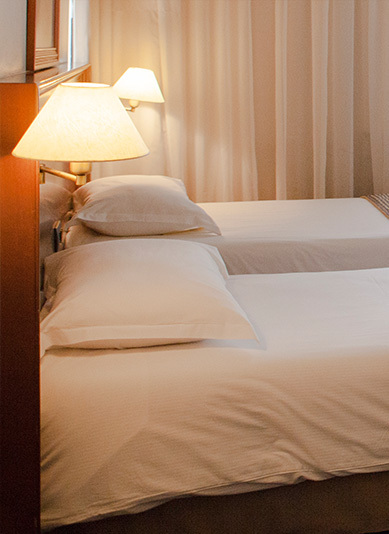 The triple rooms are functional yet comfortable rooms. Decorated in a simple and urban way, it's the ideal arrangement for families. These rooms are equipped with a bathtub and some of them with balcony. Each room is air-conditioned and has a flat-screen TV with international TV channels, cozy queen size bed and spacious wardrobe.